Ian Stewart is the author of the new book Significant Figures: The Lives and Work of Great Mathematicians. His other books include Calculating the Cosmos and In Pursuit of the Unknown. 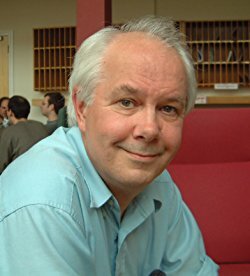 He is an emeritus professor of mathematics at the University of Warwick, and his work has appeared in a variety of publications, including Scientific American and New Scientist. He lives in Coventry, United Kingdom. 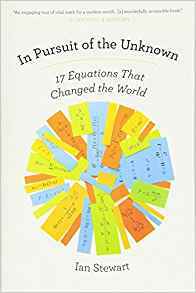 Q: How did you come up with the idea for this new book, and how did you pick the mathematicians to include? A: The idea emerged during a lunch with my editor John Davey, who died recently of throat cancer -- the book is dedicated to him. We often used to bat ideas around to see if anything grabbed us. Selecting whom to include was tricky. The typical length for a popular science book is at most 100,000 words. The publisher set a target of 90,000, later expanded to 95,000. So I knew I could include at most 25 people. That’s far too small to cover every really important mathematician! I say explicitly early on that the people featured are a selection. I made an initial list of about 50, and then whittled it down. 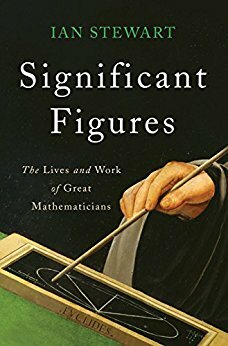 I decided that someone got in only if their mathematics was top quality and highly influential, if their personal story was interesting in its own right, and if they were dead. I considered it absolutely vital to include non-Europeans and women, to show that the subject isn’t just the creation of European men. 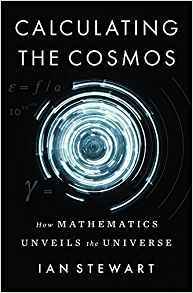 Additionally, the book had to give a clear impression of how mathematics itself has developed over more than two thousand years. So I couldn’t have too many people working in similar areas, for instance. About half the people included couldn’t possibly be left out. Then I had to take a deep breath and choose the rest. Q: You begin with Archimedes. What would you say is his greatest legacy today? A: His fingerprints are still visible all over mathematics and science, but the contribution most relevant to today’s world is probably the law of the lever. This initiated the subjects of mechanics and engineering and it allowed frail humans to handle huge, heavy objects. “Give me a place to stand,” said Archimedes, “and I will move the Earth.” It does need a very long lever and the planet won’t move very far, but he did move an entire ship on his own with pulleys, which apply the same basic law. Every building site today is full of cranes and other machines that embody the law of the lever. Q: And you conclude with William Thurston. Why did you choose him as your final subject? A: I wanted someone modern, which meant someone who died fairly recently. I wanted a “mathematician’s mathematician,” someone firmly in the theorem-proof tradition of pure mathematics. Bill Thurston is a household name among mathematicians, his ability to handle complicated geometry and topology is breathtaking, and his work is still of the highest importance. He was also a very interesting, human character. Not at all the ivory-tower caricature that many people think mathematicians resemble. Q: Of the 25 people you include, three are women. What obstacles did they face in a male-dominated profession, and what is the situation today for female mathematicians? A: As the book showed, the obstacles were huge. I would happily have included more women, but until the mid-20th century there really were very few women in mathematics. Having supervised half a dozen amazingly able women PhD students, I know from personal experience that they’re just as good as the men. But historically, the culture of the times didn’t consider mathematics to be a suitably womanly area. Even mothers would be horrified if their girl children took an interest in science or mathematics, and get them to study needlework or perhaps music. In the late 19th century, in most countries women could not attend university; then they were allowed to go to lectures but not take exams; then they were allowed to take exams but not be given a grade... and when they gained a postgraduate degree, they couldn’t be employed in academic posts, or if they could, somehow the appointments never got made. My three women trailblazers all had not only to battle against the inherent problems of doing mathematical research — it often feels like banging your head against a wall for months on end — but they had to fight every step of the way even to be allowed to try. Their stories are amazing and inspiring — and, like the men, they also had human frailties. Many more women are coming into mathematics, science, and engineering nowadays, but the proportion is still too low, and there are serious obstacles — not least unconscious bias, where (say) a hiring committee expects more of a female candidate without actually realising that’s what they’re doing. So one positive step would be to raise awareness and prevent that kind of thing. It’s better than it used to be, but still far from satisfactory. A: I’ve got contracts for two more popular mathematics books over the next three years. I can’t reveal the topics yet, but the practical implications of mathematics for humanity feature strongly in both. I’m also writing a couple of science fiction novels, rather intermittently. A couple of years ago my colleague Tim Poston and I completed an SF novel we started 38 years earlier: The Living Labyrinth. We then wrote the sequel, Rock Star, in six months. We had just started on a third book in the series when Tim died unexpectedly during treatment for cancer, just after Rock Star was published. I’d like to take the project to fruition, but now I’ll have to write most of it on my own. A: I retired eight years ago, but as well as the popular maths books I’m still doing research — it’s too much fun to stop. Currently I’m working with several colleagues on the mathematics of networks, with applications to biology. My wife and I also take a keen interest in archaeology, especially ancient Egypt, and geology. I’m about to finish three years on the Council of the Royal Society, its governing body. And a few months ago I was the science guest of honour at the World Science Fiction Convention in Helsinki. My first published science fiction short story was about a “joat” — Jack Of All Trades. I sometimes think I’m turning into him.